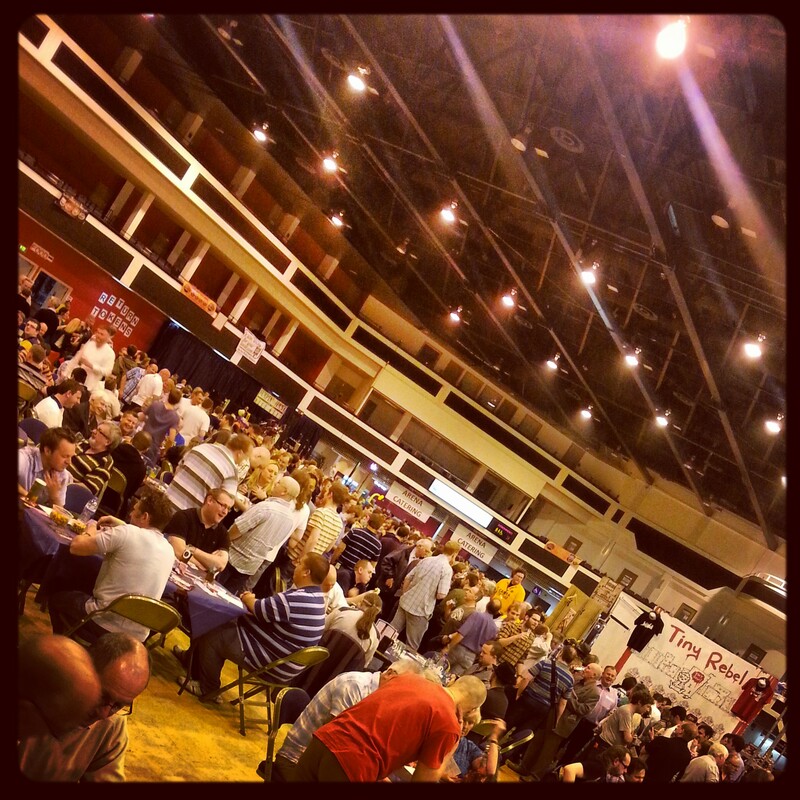 The Great Welsh Beer and Cider Festival (GWBCF), Cardiff’s annual celebration of all things great in Welsh beer and cider, is a very different beast to the Great British Beer Festival (GBBF). For one thing, it is far more staunchly patriotic. Only a handful of casks came from breweries outside Wales, and even then they were from breweries not far away (like Thornbridge). There was a foreign beer bar, yes, but a much smaller and more focused affair than at GBBF. Another difference was that the foreign beer bar was being run by a local beer retailer, Cardiff’s Bottle Shop, giving it more of a ‘friendly local bar’ kind of atmosphere. That same atmosphere extended to the festival as a whole. The beer and cider was served from a single, large, U shape of bars, with tables and chairs on either side of the U and stalls scattered elsewhere, which just about conjured the impression of ‘Wales’ Biggest Pub’. The Motorpoint Arena is by no means a picturesque location, but it fulfilled its purpose admirably. Only on Friday night did the place start to feel overpopulated, and even then it created a lively buzz and atmosphere that it failed to recapture the following day, as the best beers ran dry. One major disappointment was the glassware. Whilst I appreciate glassware ramps up costs considerably, there was only one available: a half-pint glass with a rather crudely-drawn and distinctly alligator-like dragon on it. Fair enough, you don’t want to be drinking pints all day, but when many of the beers you try are either middling or high-strength, you don’t want to gulp down a whole half-pint of them either. An extra notch for a third measurement, or a multiple-notched pint glass (like at GBBF), would make a big difference, allowing people to drink a wider variety of beers, spend more time and more money in the process. My only other major gripe was the festival’s programme, which was a combination of vague, useless tasting notes (hoppy this, malty that), sad, mournful adverts and jarring references to death, global warming and the Nanny State (seriously). None of us expect a masterpiece, but it was strange enough to distract from the quality of the event overall. And what of the beer, anyway? Both my host Craig Heap and myself had hoped to find some unknown, soon-to-be-megastar from the smaller breweries; another Tiny Rebel. The truth was, few breweries could hold a torch to Wales’ new darling brewery, and those that did were old faces. Solid, innovative, yet dependable Otley, alongside Brains and its Craft Brewery range, as well as Celt Experience and Brecon had the biggest presence, and also the best beers on tap. My main highlights were Brains’ Craft Stars and Stripes, a zingy, crisp and zesty wheat beer with US hops; the rare (on cask) Otley O6 Porter, a classy and masterful balance of coffee and chocolate; and Tiny Rebel’s one-off barrel-aged beers, including the outrageously good Kentucky Whiskey cask Urban IPA and the decadent Grand Regal Stout aged in Morgan’s Spiced barrels. Rhymney, Purple Moose, Brains, Bullmastiff, Facer’s and Breconshire also took category prizes (Brains’ Rev James perhaps being a surprise winner), but this year was Tiny Rebel’s for the taking. What will be really interesting is next year’s GWBCF. 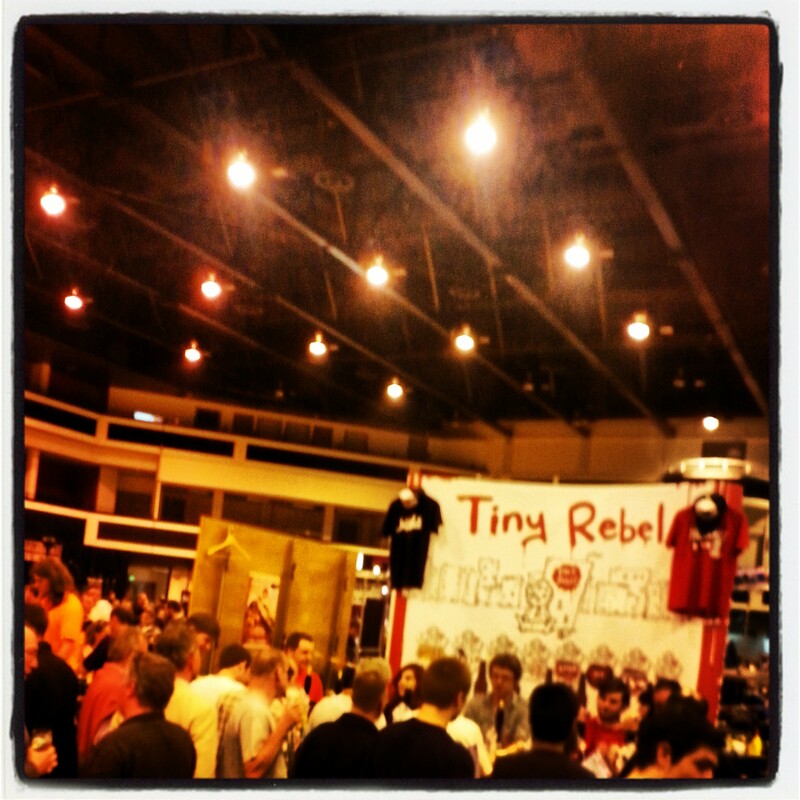 Will the booming Welsh beer scene sustain another new generation of brewers, inspired by the likes of Tiny Rebel? 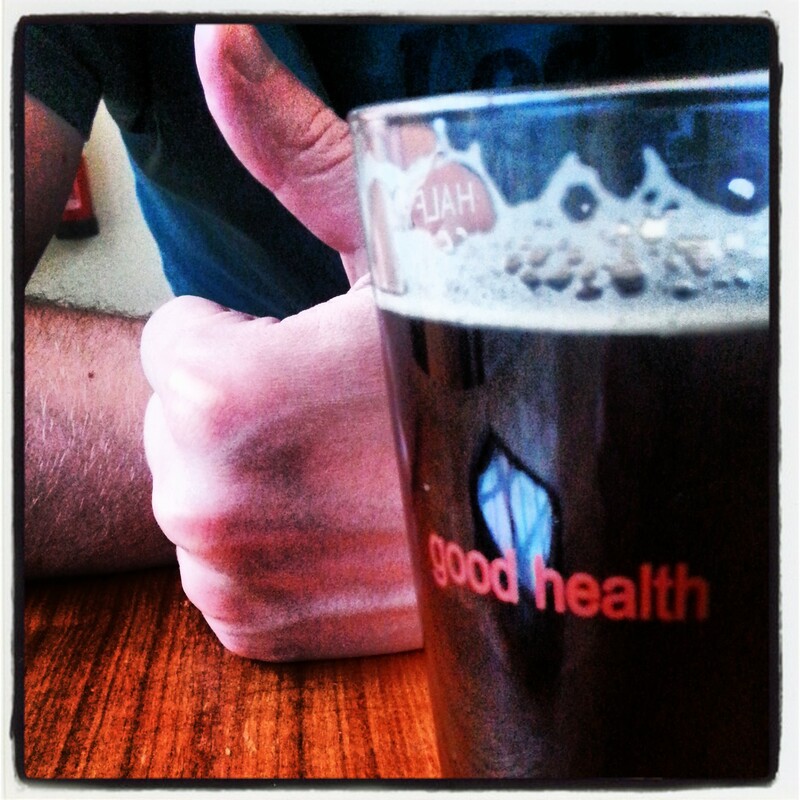 Will Brains Craft Brewery still be going, and what will they have made in another year’s time? Will anyone try (or dare) to open a rival T-shirt shop or jerky stand? I’m looking forward to finding out next year. To your very good health, Wales. EDIT: James B (@Jamesbwxm) has helpfully clarified that brewers do not submit their own beers for judging for the Champion Beer of Wales. In fact, he can only recollect one time when this has been the case (for the inaugural Champion Beer of North Wales this year). Finalists are selected from festival winners and tasting panels over the year.